DALLAS, Nov. 10, 2011 /PRNewswire/ -- From the orchard to the cup. 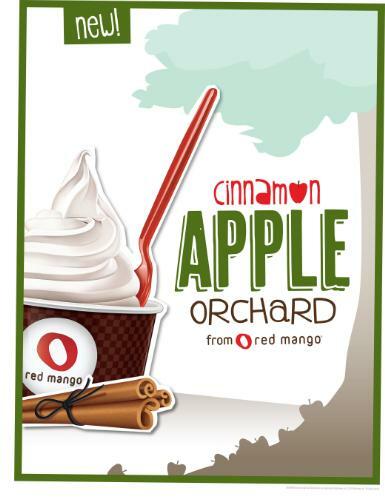 That's how Red Mango, the #1 Zagat-rated frozen yogurt and smoothies chain in America, describes the flavor quest for its newest frozen yogurt addition that debuts at locations nationwide today: Cinnamon Apple Orchard. "I remember a school outing one fall when we picked fresh apples from a local farm," says Dan Kim, founder and chief concept officer for Red Mango. "The smell of cider being pressed, the crunch of the newly-fallen leaves in autumn, and the crisp snap of that first bite into that perfectly-ripe red delicious apple are indelible memories in my mind. I was on a mission to capture that sensation in a healthy and sumptuous frozen yogurt flavor for Red Mango and recreate that journey." In a fashion that is uniquely Red Mango, Kim once again tossed out conventional food trials to borrow from total seasonal experiences in deciding how to advance the menu. The result is a flavor that makes an emotional connection in an all-natural way. "I want a spoonful of our new Cinnamon Apple Orchard, with the flavor of freshly baked apples and a touch of spice, to bring back fond fall memories for customers and create a new way to enjoy a captivating taste experience," Kim said. The latest addition to the award-winning menu furthers the goal for Red Mango to deliver indulgent flavors without the guilt in the healthiest way. At just 100 calories for a 1/2 cup, Cinnamon Apple Orchard frozen yogurt is nonfat, all-natural and rich in probiotics with GanedenBC30. The new flavor is available as a limited-time-offer at locations nationwide while supplies last. Red Mango, one of the fastest growing retailers of all-natural nonfat frozen yogurt and fresh fruit smoothies, opened its first U.S. store in July 2007 in Los Angeles, and has since celebrated more than 140 store openings across the U.S. Red Mango was named the number one smoothie and frozen yogurt chain in America in Zagat's 2011 National Chain Restaurants Survey. 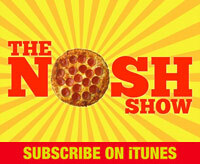 Other awards have included the prestigious Nation's Restaurant News' "Hot Concepts!" award and the industry-recognized SupplySide's "Scientific Excellence Award," as well as best frozen yogurt honors in Los Angeles, Seattle, Las Vegas, Chicago, Utah and New York by highly-regarded independent publications. Headquartered in Dallas, Red Mango serves uniquely delicious frozen yogurt that is all-natural, nonfat and lowfat, gluten-free and packed with beneficial live and active probiotic cultures like GanedenBC30 (Bacillus coagulans GBI-30, 6086), which helps support a healthy immune and digestive system when consumed as part of a balanced diet and healthy lifestyle. Red Mango is the first frozen yogurt retailer to earn the National Yogurt Association's Live and Active Cultures seal for meeting the required criteria for healthy frozen yogurt. Red Mango recently expanded its menu to include satisfying meal options such as its all-natural made-to-order fruit and yogurt parfaits and fresh fruit smoothies, and also introduced the world's first all-natural probiotic iced teas that are hand-shaken to order.